Mersive, a leading provider of wireless media streaming and collaboration software ties with NMK – Nicolas M. Kyvernitis Electronics Ent., a premium audio video & communication distributor for the Middle East and African region. NMK, upholding its strong market presence for the past 30 years, strongly believes in innovation to bring the best solution for each market segment while retaining its strong portfolio that can sever various client requirements. Mersive compliments the existing brands and solutions by filling in the gap most effectively. “This is a great new addition to the NMK portfolio. Mersive is our first IT brand that is focused in the AV market. The technology is miles ahead of barco and other regional market players that have already been established in the GCC. We found really good synergy between both companies after having units installed in our office. Almost every client that has a POC has loved the unit. Our systems integration partners have been super supportive and have embraced the technology. We are really excited to start working with the Mersive team and developing a long term mutually benefiting relationship” Said Dino Drimakis, Business Development Manager, NMK Electronics. The Software by Mersive, ‘Solstice’ allows any number of users to simultaneously stream content from computers, tablets, and phones to any display – wirelessly. By removing the need for video cables and converters, Solstice improves meeting productivity and transforms traditional conference rooms and classrooms into collaborative, multi-user environments. Users can connect, share, and control any display from their own devices using their existing network. In addition, Solstice transforms enterprise displays into an IT-managed pixel-landscape through a centralized console that can be used to manage access, security, and capture analytics. Mersive’s software unlocks display infrastructure to create affordable collaboration environments that foster interaction, facilitate decision-making, and cultivate creativity. “NMK, being a pioneer in their industry whilst providing specialized support to AV, communication and IT professionals across Middle East & Africa Region, makes them an ideal choice as our distributor to introduce Mersive’s Solstice software solutions to resellers and their end users throughout the region” said, Jess Mayer, General Manager EMEA, Mersive. About Mersive Mersive is a leading provider of visual computing software. By transforming hardware challenges into software solutions, Mersive has helped to create a new class of displays, enabling visual collaboration to go mainstream. 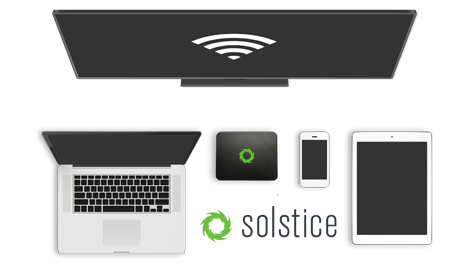 Mersive Solstice software enables multiple users with a diversity of devices, using a range of applications, to access any display at the same time. Mersive Sol software automatically aligns multiple commodity projectors into one seamless image of extraordinary quality and resolution without the expense of specialized hardware and services. These products provide knowledge workers with access to simple affordable visual display systems that foster interaction, facilitate decision-making and cultivate creativity. Mersive is based in Denver, Colorado. For more information, visit www.mersive.com. About NMK Electronics NMK Electronics Ent. began operations in 1987 focusing on the audio, video and lighting industry. From its humble beginnings in Sharjah, the company has grown into a leading distributor of professional AV products and musical instruments in the Middle East, now based in Dubai. Together with its portfolio of reputable brands, a dynamic team and strong financial foundation it is no surprise that the company has achieved a market leader position in its niche industry. With a long history in the business spanning around 30 years, NMK has prepared itself for new successful ventures that will propel the company to new heights in upcoming years.